You are here: Platypus /What is political party for Marxism? 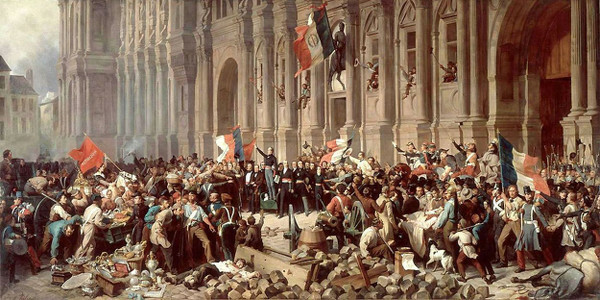 Lamartine, before the Hôtel de Ville, Paris, rejects the Red Flag, 1848, by Henri Felix Emmanuel Philippoteaux (1815–1884). The problem with liberal democracy is that it proceeds as if the democratic revolution has been achieved already, and ignores that capitalism has undermined it. Capitalism makes the democratic revolution both necessary and impossible, in that the democratic revolution constitutes bourgeois social relations -- the relations of the exchange of labor—but capitalism undermines those social relations. The democratic revolution reproduces not “capitalism” as some stable system (which, by Marx’s definition, it cannot be) but rather the crisis of bourgeois society in capitalism, in a political, and hence in a potentially conscious way. The democratic revolution reconstitutes the crisis of capitalism in a manifestly political way, and this is why it can possibly point beyond it, if it is recognized as such: if the struggle for democracy is recognized properly as a manifestation of the crisis of capitalism and hence the need to go beyond bourgeois social relations, to go beyond democracy. Bourgeois forms of politics will be overcome through advancing them to their limits—in crisis. Cutrone, Chris. “Capital in history” PR 7 (October 2008) /2008/10/01/capital-in-history-the-need-for-a-marxian-philosophy-of-history-of-the-left/. Cutrone, Chris “1917” PR 17 (November 2009) /2009/11/18/the-decline-of-the-left-in-the-20th-century-1917/. Cutrone, Chris. “The Marxist hypothesis” PR 29 (November 2010) /2010/11/06/the-marxist-hypothesis-a-response-to-alain-badous-communist-hypothesis/. Cutrone, Chris. “Egypt, or, history’s invidious comparisons: 1979, 1789, and 1848” PR 33 (March 2011) /2011/03/01/egypt-or-historys-invidious-comparisons-1979-1789-and-1848/. Cutrone, Chris. 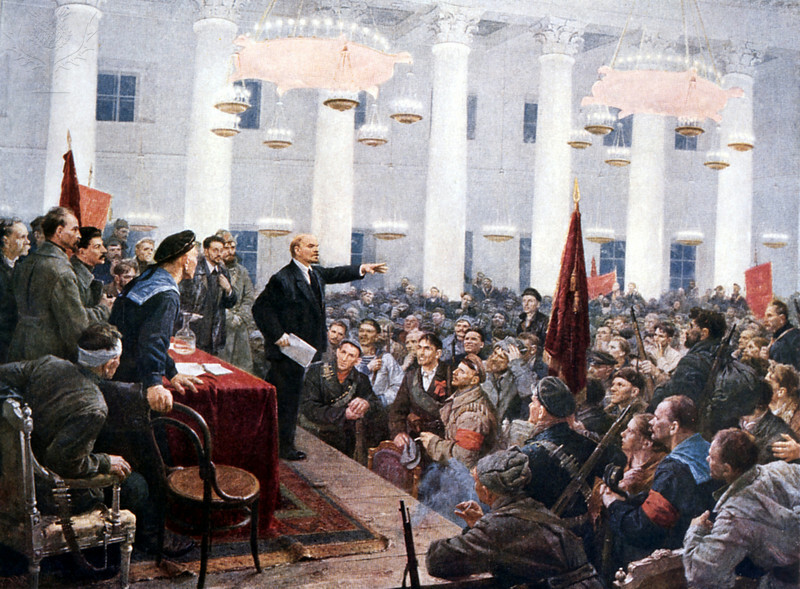 “Lenin’s liberalism” PR 36 (June 2011) /2011/06/01/lenins-liberalism/. Cutrone, Chris. “Lenin’s politics” PR 40 (October 2011) /2011/09/25/lenins-politics/. Cutrone, Chris. “Whither Marxism?” PR 41 (November 2011) /2011/11/01/whither-marxism/. Cutrone, Chris. “1873-1973: The century of Marxism” PR 47 (June 2012) /2012/06/07/1873-1973-the-century-of-marxism/. Cutrone, Chris. “The relevance of Lenin today” WW 922 (July 12, 2012) http://weeklyworker.co.uk/worker/922/the-relevance-of-lenin-today/; and PR 48 (July-August 2012) /2012/07/01/the-relevance-of-lenin-today/. Cutrone, Chris. “Class consciousness (from a Marxist perspective) today” PR 51 (November 2012) /2012/11/01/class-consciousness-from-a-marxist-perspective-today/. Cutrone, Chris. “Why still read Lukács?” WW 994 (January 23, 2014) http://weeklyworker.co.uk/worker/994/debate-why-still-read-lukacs/; unabridged version in PR 63 (February 2014) /2014/02/01/why-still-read-lukacs-the-place-of-philosophical-questions-in-marxism/. Cutrone et al. “Revolutionary politics and thought” PR 69 (September 2014) /2014/09/05/revolutionary-politics-thought-2/.